Wherever you are in Singapore, take a look around. Do you see many people wearing glasses, especially young ones? Yes, myopia is a serious issue! Myopia, or near-sightedness, is a prevalent problem in Singapore. According to a five-year study conducted by the Singapore Eye Research Institute (SERI) and the National University of Singapore (NUS), approximately seven in 10 young Singaporeans have myopia. This is concerning, as studies indicate that young children with myopia are at risk of having high myopia in adulthood. This will, in turn, lead to other eye complications, including cataracts, retinal detachment, and even blindness. Hence, in the absence of an outright cure for myopia, preventive measures should be put in place to reduce the prevalence of myopia in children. Myopia usually occurs when the eyeball is too long from front to back. Hence, distant objects appear blurry as the irregularly shaped eyeball causes light rays to focus at a point in front of the retina rather than directly on its surface. Why Do So Many Singaporeans Have Myopia? Despite advancements in medical technology, we are still unable to pinpoint the exact conditions causing myopia. Researchers had hypothesised that the elongated eyeball related to myopia could be genetically inherited. However, no conclusive evidence has been found to support this hypothesis. It is a fact that parents with perfect eyesight can have children with severe myopia. The accepted understanding is that spending too much time on near-work is responsible for the rise of myopia in children. Children are increasingly glued to iPads, computers and books, when they should be enjoying more outdoor activities. In order to prevent myopia from worsening in school children, the Health Promotion Board (HPB) kick-started the National Myopia Prevention Programme (NMPP) in 2001 to cultivate good eye care habits in school. In fact, ortho-k users can expect up to 75 percent reduction in myopia within the first week of use. For example, schools are encouraging primary school children to spend more time outdoors while reducing time spent on near-work activities. Public education has also been targeted at parents, teachers and children to inculcate good eye care habits such as adopting good posture when reading. The HPB announced their success 10 years later, when they managed to record a 5 percent reduction in myopia prevalence. The most direct way to treat myopic children is to prescribe glasses. Of course, this does not address the underlying problem, as children are still inconvenienced without their glasses. Fortunately for parents, there are many other options available to prevent the development of myopia in children. Orthokeratology, also known as ortho-k, is a non-surgical procedure that is seldom heard of in Singapore. Ortho-k has been compared to what braces have done for crooked teeth. By wearing specially prescribed contact lenses overnight, the hard contact lenses reshape the user’s eyes which are elongated by myopia. The eyes will stay in their corrected shape even after the ortho-k lenses are removed in the morning. However, if the user stops using these lenses, the eye will gradually return to its original shape within a few days. Depending on the severity of myopia, the user only has to wear these contact lenses for days or weeks before their eyesight is restored to normalcy. How effective is ortho-k in reducing childhood myopia? The effectiveness of these lenses has been widely researched and documented. Researchers have noted that the majority of ortho-k induced results occur within the first week of lens wear, with the greatest effect observed after the first night of use. In fact, ortho-k users can expect up to 75 percent reduction in myopia within the first week of use. 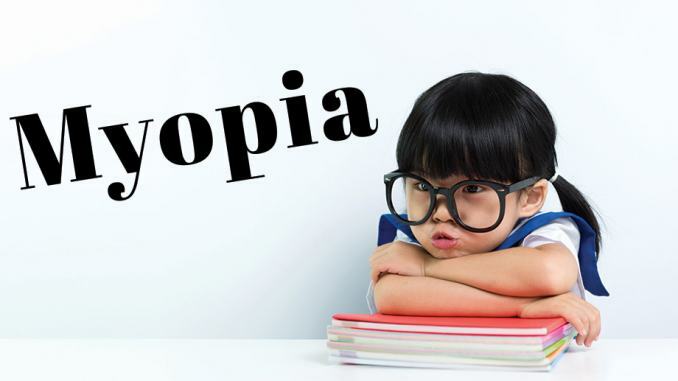 In a five-year Japanese study published in 2012, researchers concluded that the use of ortho-k lenses can significantly slow the progression of childhood myopia. Similar studies in Hong Kong have claimed that the use of ortho-k lenses can slow myopia progression rates by up to 43 percent as compared to normal glasses. A 2008 survey conducted in Hong Kong also reported that 90 percent of children using ortho-k lenses have reported satisfactory results. However, ortho-k is not without its downsides. The first obvious limitation is cost. Parents are expected to pay up to $2,000 per child, as ortho-k lenses have to be fitted by trained optometrists. The cost of the procedure is definitely a huge setback to price-conscious families, and it is one of the reasons why the adoption of this procedure has not achieved critical mass in Singapore. Ortho-k is also not without its risks. There are documented cases of eyes being infected by germs from ortho-k lenses, due to overnight usage. In more extreme cases, users’ corneas have been injured by the prolonged restraining effects of ortho-k lenses. Fortunately, such risks can be mitigated. Extensive tests are conducted by trained optometrists to ascertain suitability before users are prescribed with ortho-k lenses. The users are also expected to undergo regular checkups to preempt possible anomalies. As for infection risks, such risks could be reduced if users are properly trained to clean and maintain their ortho-k lenses. After all, the risk of infection from ortho-k lenses is no more than the risk of infection from wearing normal contact lenses. Despite its limitations, ortho-k lenses have been used for decades, and have been clinically proven to be safe in children. Unlike other invasive procedures like LASIK which involve surgical risks, the use of ortho-K lenses is a reversible procedure. The child can always stop wearing the lenses whenever they feel uncomfortable. Hence, we can expect that the use of ortho-k lenses will only get more popular in Singapore. Atropine eye drops are not new. They have been prescribed by doctors since the 1960s to aid the retardation of myopia in children. The use of atropine eye drops suppresses the elongation of the eyeball by strengthening the walls (sclera) around it. According to a two-year study conducted by SERI and the Singapore National Eye Centre (SNEC) in 2006, the use of atropine eye drops was instrumental in slowing myopia progression by at least 50 percent with very little side effects. To sweeten the deal, these wonder eye drops are not expensive, and cost no more than S$20 for a month’s supply. No doubt, this treatment is definitely within the reach of most Singaporean families. Unfortunately, atropine eye drops cannot be purchased at your nearest neighbourhood pharmacy; they have to be prescribed by a doctor. Advice from a doctor is required as the use of atropine eye drops may lead to discomfort or blurred near vision due to dilation of the pupils. Moreover, despite the short-term success of atropine eye drops, there are concerns that the prolonged use of atropine eye drops may have unintended side effects in the long term. More studies are required to ascertain if the prolonged usage of atropine eye drops is suitable for children. International studies have also concluded that atropine eye drops are more effective when prescribed in lower concentrations (0.01%). Low concentration atropine eye drops are also recommended by doctors as users are less likely to experience side effects. Given that atropine eye drops are seen as a potential game changer in fighting myopia progression, SNEC announced in 2017 that they are embarking on a three and a half-year study on the subject. Hopefully, this translates to a better solution for this relentless health problem. Singapore has earned the unflattering reputation of being the myopia capital of the world. This is definitely one accolade we can do without. The rest of the world, especially East Asia, is not spared from this global epidemic. Children in South Korea, Hong Kong, Taiwan, Japan and China are already facing the same problem as Singapore. According to the Brien Holden Vision Institute in Sydney, myopia may affect nearly half the global population by 2050. Given the severity of this health crisis, more resources should be committed to studying the root cause of myopia. What modern environmental factor is the culprit for this new epidemic, when myopia was never an issue with our ancestors? Before we find the answer to this question, it would not hurt to encourage our children to spend more time outdoors. After all, all work and no play makes Jack a dull boy. Will Cryptocurrency Survive in Singapore? Truthful News Reporting: Where Should Singapore Stand?